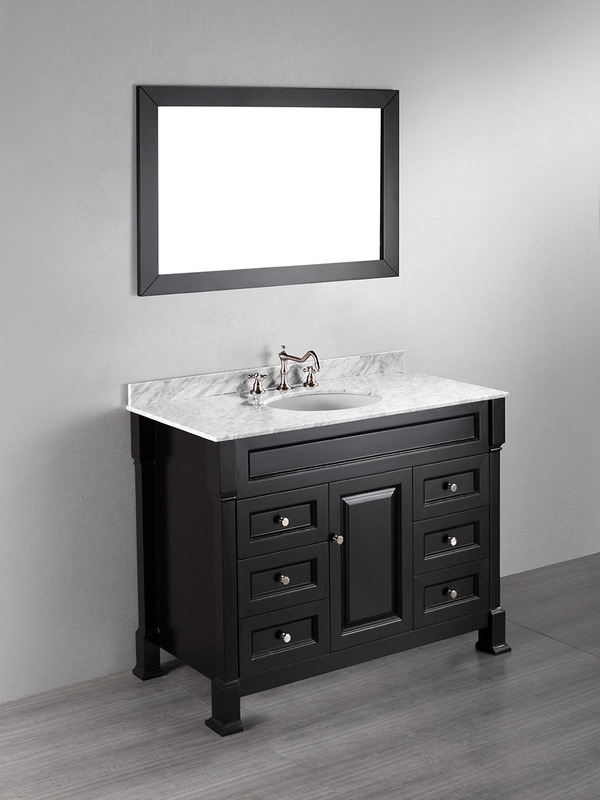 The 43" Calle Single Bath Vanity perfectly blends together antique and modern styles together to give you a subtle style that's versatile in every way. Its cabinet is finished with a deep Black finish and features a single-door cabinet with six spacious drawers two the sides. Silver accent knobs make opening and closing them an easy task, while making an attractive accent to the dark cabinet finish. 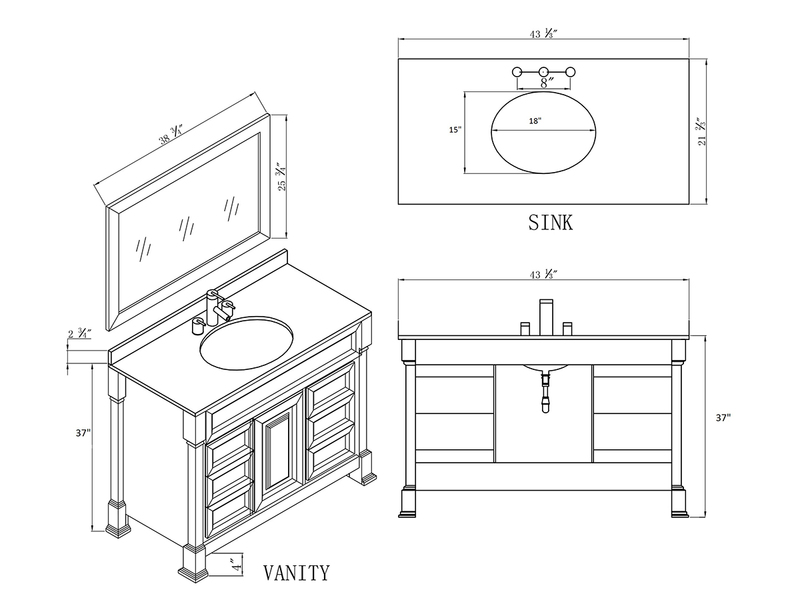 The top is made from Carrera White Marble and comes pre-drilled with three faucet holes and a ceramic sink bowl. 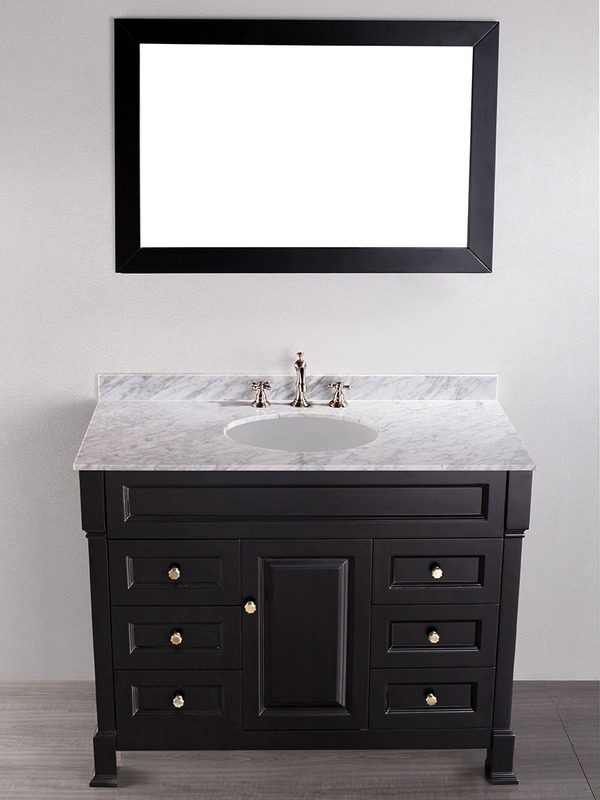 To top it all off, a matching mirror is also included with this lovely vanity.